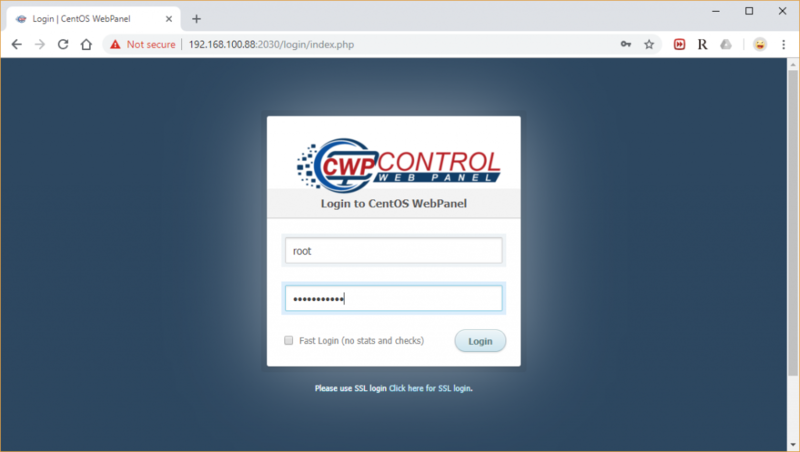 CentOS Web Panel in short CWP is a free web hosting control panel designed easy management of (Dedicated & VPS) servers without of need to use ssh console. This works for RPM-based distributions only. To use this control panel you must have CentOS, RHEL or CloudLinux operating system on your server. Before start the CWP installation, login into your server as root, set static ip address and the correct hostname. After setting static ip address and hostname, now you need update your server to the latest version and install wget utility to fetch and install the CWP installation script. Once ready, press “ENTER” for server reboot. If the system does not reboot automatically simply type “reboot” to reboot the server. After server reboot, login into server as root, once login you will see different welcome screen with information about the logged users and the current disk space usage. CWP Admin Dashboard would be something like below. For additional configuration instruction, please check out wiki/documentation site. In this article, we’ve explained how to install CentOS Web Panel on CentOS 7. If you have any questions or comments, please do not hesitate to submit them in the comment section below.